Last fall we started to developed a new outdoor material called Tec-Rope. This highly technical and innovative materials was designed and developed in Italy. This new line has been developed with some of the most skilled craftsmen in the industry. A preview of our new color “Carbon” is shown along with the new fabric collection called Aqua-weave. 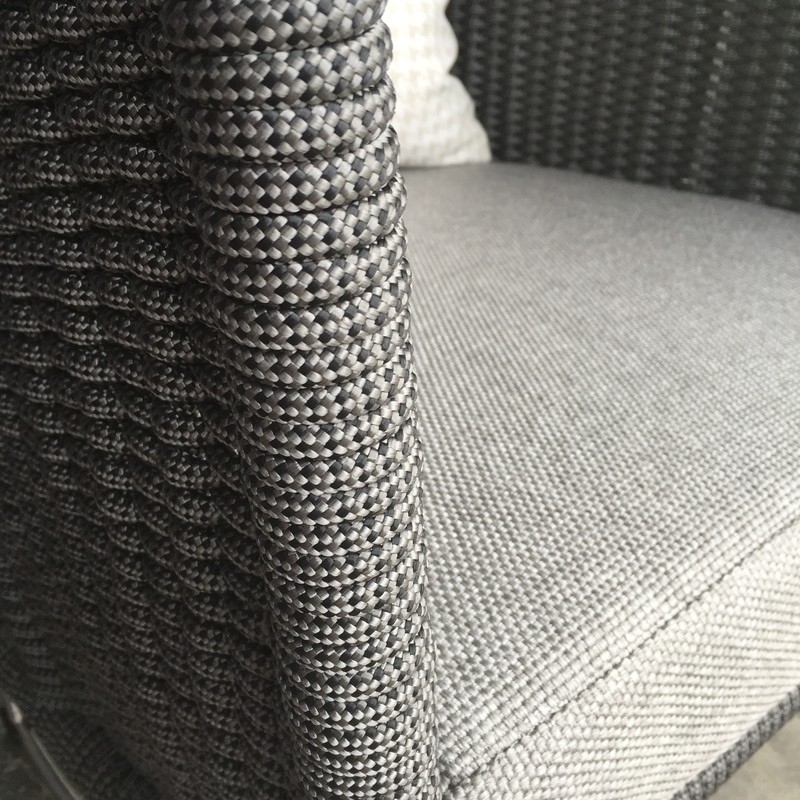 Aqua-Weave is a new luxury collection of soft and light surface fabrics that will be added to the 2016/17 collection. The materials are rated fire retardant Class I and are suitable for both commercial and residential applications.